Lao Chai, also a hot spot of tourism in the Sapa upland town, is home of the Black H’Mong. 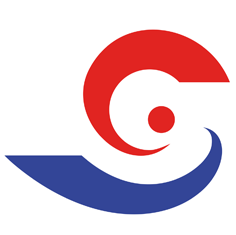 This is a commune combining three main villages of more than 100 Black H’mong families who are considered to always welcome you with the best hospitality and warmness. You can reach this beautiful commune by going about 7 km to the southeast of Sapa town and Lao Chai shall be on the west bank of Muong Hoa Stream waiting for you. You may go by car or motorbike to get to the villages but it shall be more stunning if you spend time trekking following the path along with the mountain side to go there. 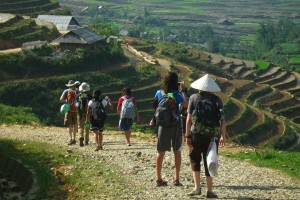 A trek is always the best recommendation to explore Sapa’s ethnic villages and their very culture and customs. Lao Cai or Sapa and the Northwest of Vietnam in narrow sense often is developed it tourism industry with a form of community-based tourism, so then trekking to Lao Chai village, learning about the local’s life and exploring the beauty of the very nature in the village are some of the most interesting and appreciated activities when coming to the upland town. By the way, it is very nice when from a high position on the main road, you can get great panorama of the whole village looming in high mountains along with the most beautiful river. Lao Chai almost lies in the middle of rice and corn terraces, so you also have a good chance to trace along with narrow but fabulous path on the fields to contemplate the whole zone of terraces. The best time for visiting Lao Chai from September to next April on which the village is so attractive with the most wonderful rice terraced fields. The locals houses are built on the half side of the mountain to prevent from floods on the wet season. 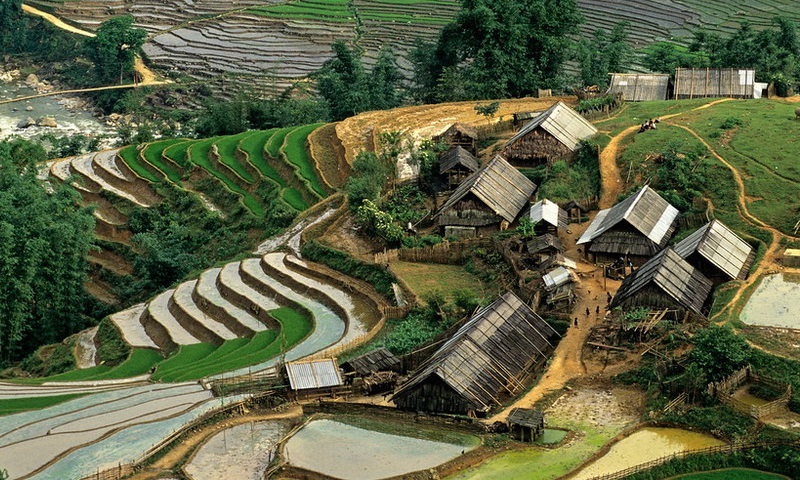 The H’mong here focus their cultivation in rice farming which is carried out on the lower land close to the bottom of the valley and sometimes they cultivate corn on the mountain slopes on terraces as the subsidiary food for life. The trip must be very interesting when you mix with groups of H’Mong people on their ways to the village or to the terraces for work and though they intend to make some business, they do not force you to buy their products but chat with you friendly and share their experience and life. You are recommended bringing along with some candies or small cakes to give the ethnic children; because the children in villages love seeing the strangers coming to their homes, they are always happy for such small gifts. You do not forget to take some used comics or newspapers, magazines as gifts for them. However, absolutely do not give them money. It is a kind of unwritten rule. It shall be very nice if you can participate in the local’s routines by staying in their rudimental houses, communicating with such hospital and friendly ethics and mingling with their life which is definitely close with natural space and particularly enjoying their local dishes with exotic but yummy taste that always deserve at least a try. Thus, on your way to Lao Chai, you might receive simple but unforgettable experiences with preserved and precious traditional characteristics and customs of the local here and be obviously impressed with the ethnic’s hospitality and frankness despite the subsistence living.